A ukulele is a short-necked guitar played on four strings that originated in Europe. It was first introduced in 1879 in Hawaii by a Portuguese immigrant who played a variation of the instrument called a “branguinha,” a small, guitar-type instrument. Hawaiians were impressed by the immigrant’s playing style that they dubbed the instrument as the “ukulele” or “jumping flea.” By 1900, the ukulele became synonymous to the Hawaiian islands. Our Top choice is the Oscar Schmidt OU26T Ukulele – Satin Natural. The high quality of the materials and the overall precision makes this choice an easy one. While four-string ukuleles are the norm, six-string ukuleles are a class of their own. A six string ukulele is just one of the other four types of ukuleles available. Normal, four-stringed ukuleles are sopranos as it produces a small sound. Concert or alto ukulele produces a richer sound and has a fretboard that is 2-inches longer than most. Meanwhile, six-stringed ukuleles fall under the tenor as it produces a rich tone. Moreover, it is preferred for its versatility and is better suited for players with large hands. Lastly, a baritone is almost like a guitar but is smaller in size and it’s for those who want a deeper sound. However, six-stringed ukuleles are better suited for players who already have a bit of experience under their belt. How do you tune a six-string ukulele? Standard ukuleles or the four-string kind are tuned up 2 ½ steps up without the two bass strings. When playing with a guitar tab, the song is basically the same but just in a higher key. Standard tuning for ukulele is GCEA, whereas a six-string ukulele is tuned in GCCEAA. 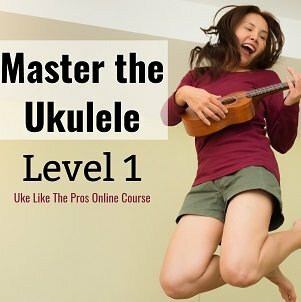 Meanwhile, a guitelele is another six-string version of the ukulele, is tuned exactly as a guitar but starts on an A instead of an E.
What’s the difference between a six-string ukulele and a guitar? While a guitar and a six-string ukulele both belong to the family of stringed instruments, the two may share the same physical looks but the difference lies in sound and the noticeable size difference. Guitars often have six strings and sometimes more than that. Strings attached to the instrument vary in thickness and the string composition can range from nylon or steel. Meanwhile, playing style can be done two ways: with fingers or pluck at the strings. Lastly, guitars are either electric or acoustic, which is the sound the guitar produces. The sound of an acoustic guitar is made when strings are plucked and it vibrates through the hollow construction of the instrument. On the other hand, an electric guitar needs an amplifier to produce sound. Meanwhile, the ukulele has a standard four strings made of nylon. The classification of ukuleles depends on the size and tone, such as the soprano, alto, tenor and baritone. Moreover, ukuleles also have different sizes, such as the pineapple and the more triangular fluke. The all-mahogany Oscar Schmidt OU26T Ukulele in Satin Natural is a six-string ukulele with chrome tuners. While this combination may take a while to settle in, the ukulele has a thin neck that is still comfortable to use even for big hands. Its charm lies in the playing: the more you pick up the ukulele, the more that it becomes warm and rich in sound. While the ukulele is a bit rough around the edges, it still has a unique sound similar to a mandolin. However, new owners should be wary that the ukulele needs some tuning before playing as it is strung poorly. For ukulele players who want an excellent sounding six-string guitar that has also very good value for money, then the Kala KA-6 is a top consideration. The ukulele features a mahogany body, 19 silver nickel frets, rosewood fingerboard and bridge, a mahogany neck and topped off with a satin finish. “A” strings are a few octaves apart but the ukulele still produces a pleasant sound to the ears. However, it would have to take a lot of tuning and playing for it to stay in tune with high C and A as the top offenders of this. Moreover, storage would have to be tricky as users might have a hard time to find a case that the ukulele can fit into. The handy guitar ideal for travelers, the Luna Tattoo 6-String Baritone Ukulele features a mahogany body, a select spruce top, set neck, rosewood fingerboard and chrome hardware. 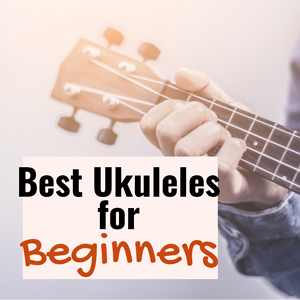 The size of the ukulele is similar to a mini-classical guitar and for avid travelers, can fit nicely on top of an overhead cabin on flights and can be taken on biking or beach trips. For the tuning, Luna recommended tuning it to AAGCCE, but it also works fine if you tune it like a standard guitar. An ideal bundle for new and old ukulele players, the Luna Tribal is packaged as a bundle that has all the necessary accessories you’ll need to get you to start playing in no time. Each shipment comes with a gig bag, a clip-on tuner, an Austin Bazaar instructional DVD and an Austin Bazaar polishing cloth. The ukulele features a mahogany top, back and sides and open gear chrome tuners, rosewood fretboard and bridge and comes in a satin natural finish for a sleek look. The ukulele produces a beautiful sound but may take some warming up as it is not in tune in the first few weeks of use. Moreover, the neck fits comfortable even for ukulele players who have big hands. A versatile ukulele, the Alvarez AU70B/6 features a solid A+ Sitka spruce top, rosewood back and sides with semi gloss finish, rosewood fingerboard, mahogany neck and back tuners. The uke features quality workmanship and plays wonderfully right out of the box. Moreover, it produces a decent sound, holds tuning quite well and has a nice fit and finish. However, owners should take caution in storing the instrument in low humidity as it can crack easily. The upper case letters representing lower octive and the lower case letters representing higher octive. Is my 6 string property strung? How hard is it to use a six-string guitar tuning on a six string baritone ukelele? Wow I’m surprised. I didn’t know about 6 string ukuleles. Luna Tribal 6-String Ukulele Bundle looks great.